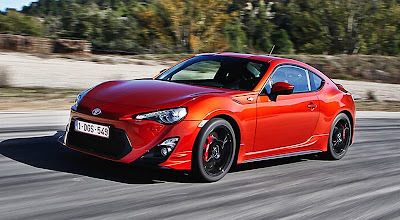 OTONEWS - Toyota Motor Corporation reportedly developing a sports car that is positioned at the bottom or as the younger brother of the Toyota GT 86. Car rear wheel it is called will be the size of a Mazda MX5 and weighs less than 1 ton. Toyota GT 86 chief engineer, Tetsuya Tada, admitted his side had started the project was the development of a sports car. Only he did not elaborate on what has been done including the machine that will be carried by the car. "We have started the development of the car (positioned) under (Toyota GT) 86," said Tada. "(But) it has not decided whether to be configured (seating) two-seat or two-plus-two, we are developing the concept, now," he added. He made sure that the character of the new car will be the same as his brother, the Toyota GT 86. So even with wheel drive system. "The rear wheels is the best solution for a sports car. So (rear wheel drive system) this will apply to all three sports car Toyota (newly developed)," added Tada. Toyota mentioned would showcase three brand-new sports car, one of which hybrid technology. Tech hybrid car that will be used in an endurance race at the circuit will reportedly brought to the mat Frankfurt Motor Show 2015, September. No Comment "Toyota Prepare a Brother Sport Car GT86"